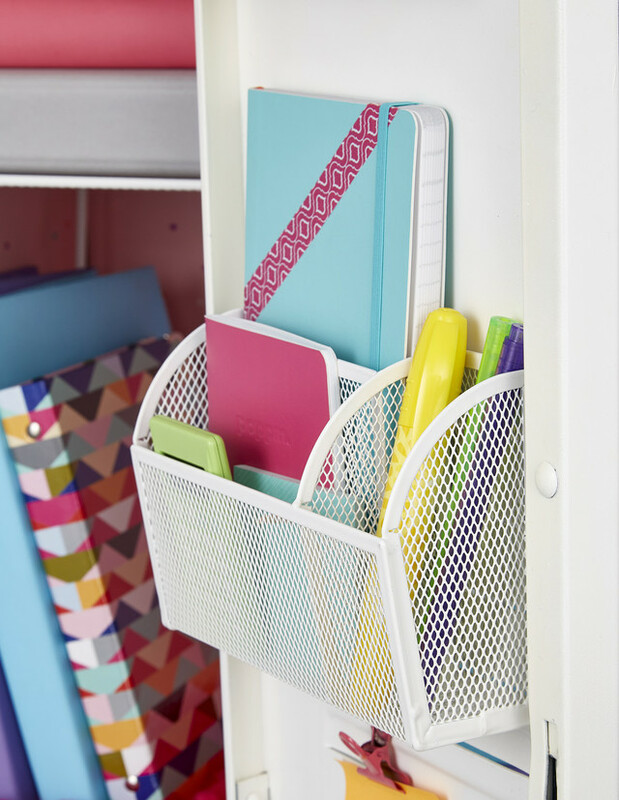 Little pictures, sweet notes and small tchotchkes always made for a happy start to a brand new year - so when our fabulous buyers brought in some brand new locker products for back to school - we couldn't resist putting together a few ideas for every back-to-school style! See our ideas for helping them get excited for the first day below. 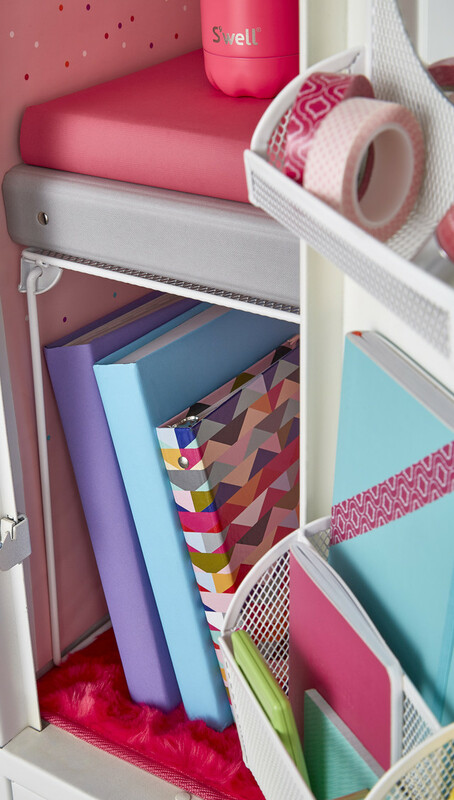 Coordinated, colorful and magnetic - these two locker looks keep them stylish and open to express their unique selves with neutral colors that blend in with buildable decor. 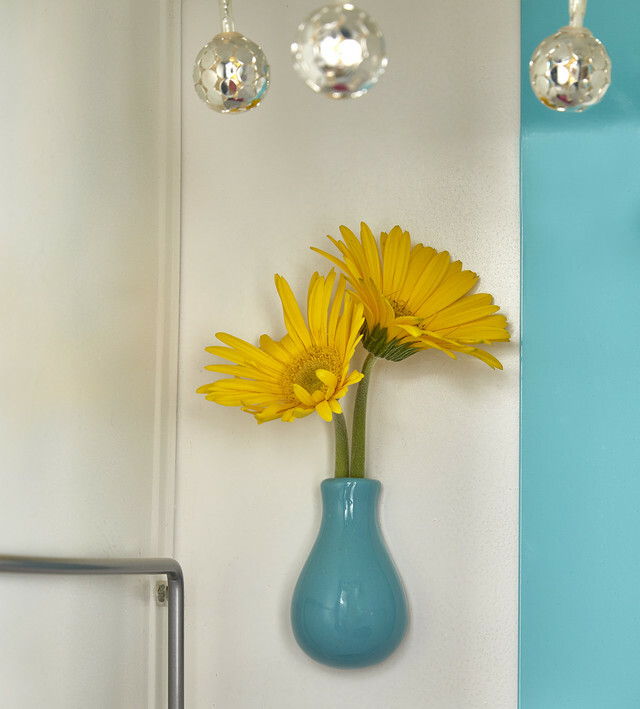 Give them a pop of sunshine without taking up much locker space in our Blue Magnetic Ceramic Vase. It's perfect for a faux version of their favorite flower that'll bloom all semester long. 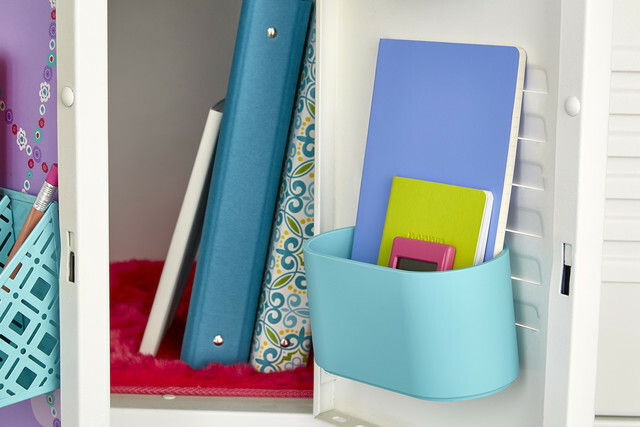 Our Charleston Magnetic Organizer Bin is the place to store our Poppin Mini Medley of Soft Cover Notebooks. They'll love the different sizes and colors of each notebook so they can pick one for each course or class! 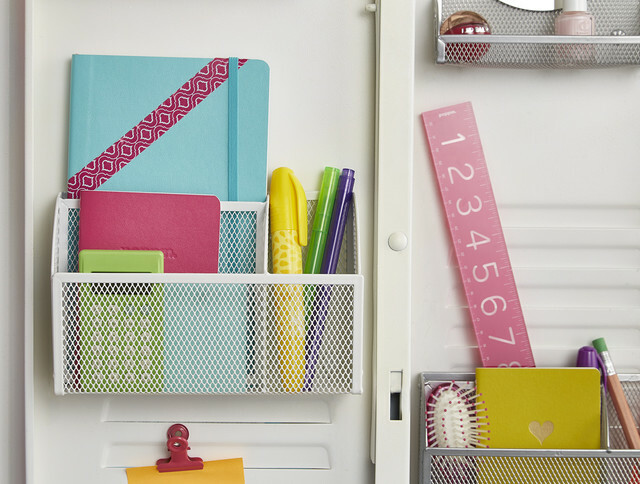 For a more modern look, our Poppin Magnetic Organizer does the trick. 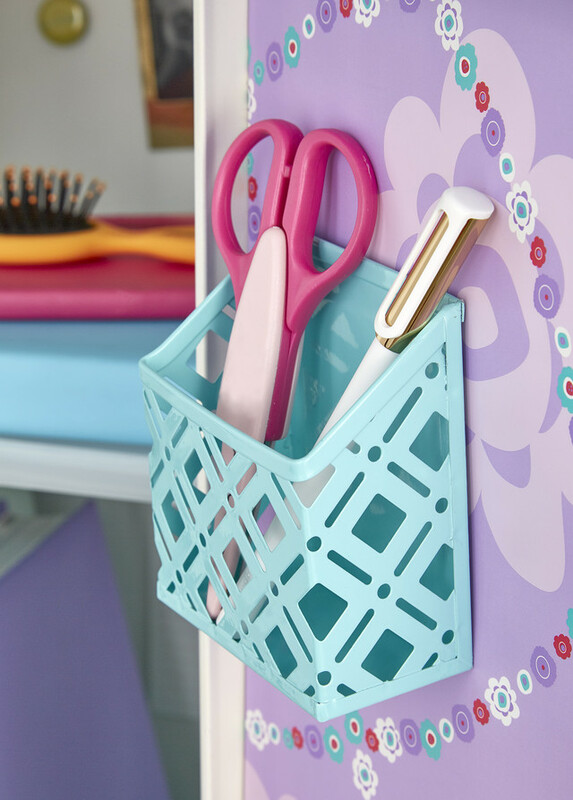 Our Purple Flower Locker Wallpaper helps set the scene for whatever style they want to express - best of all, it's adhesive so you can peel, place and go! 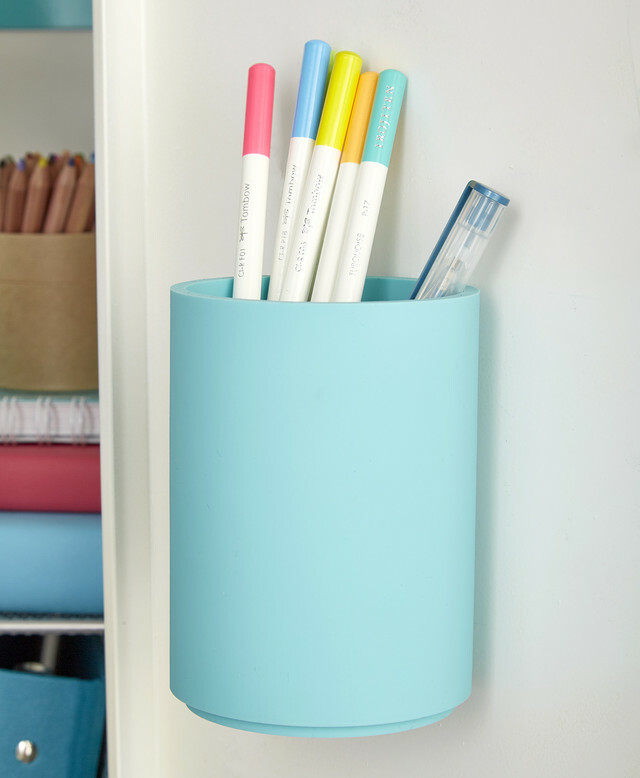 Our Poppin Magnetic Pencil Cup will easily become their go-to place for our Wood Ballpoint Pens - a quick way to write notes in between classes, or take to class. For a little more luxe and plush - look no further than our over-the-top Locker Fur Rugs. 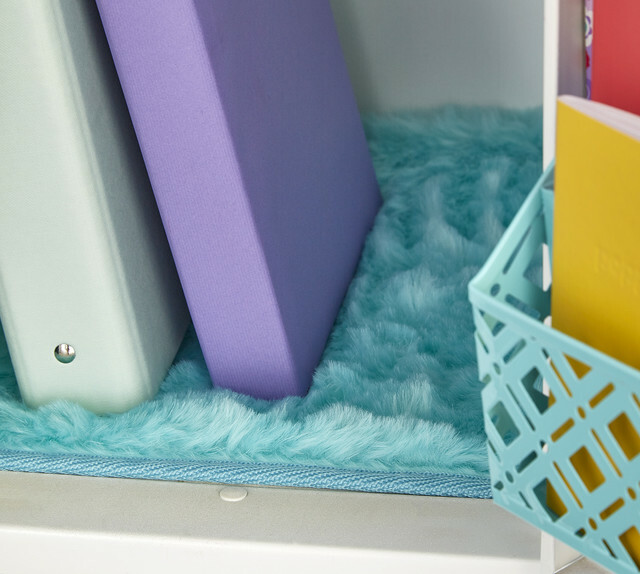 They tie the look together and help give all of their books, notebooks, binders and more a little soft cushioning during the in's and outs of looking through their locker each day. For the fashionista or design-diva - our Charleston Magnetic Vanity Bin helps them look fresh and keeps them organized for the day ahead. 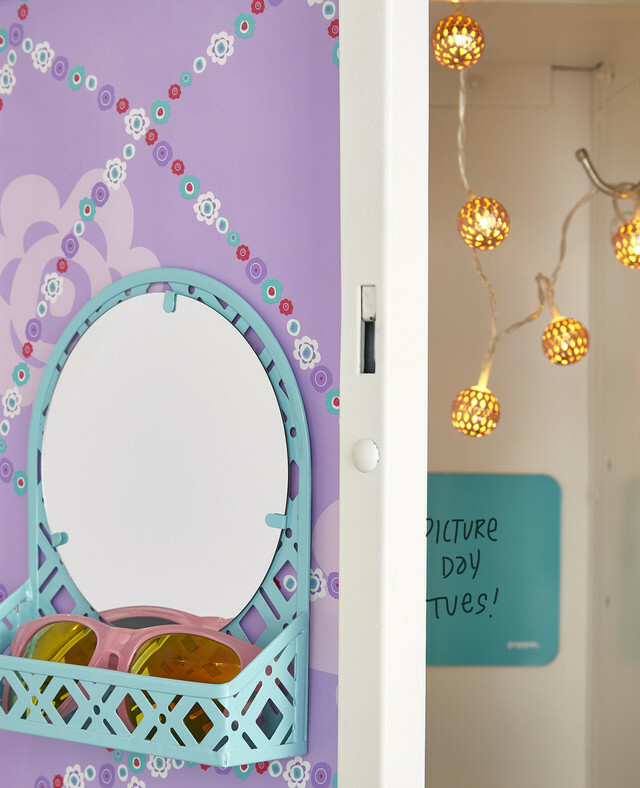 Our Copper Moroccan String lights (battery operated) keep their locker flashy. 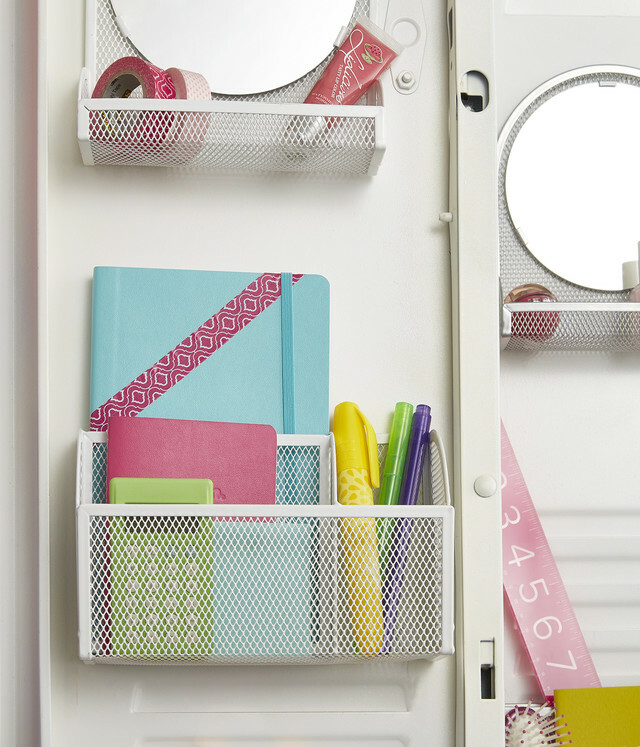 Maximize the theme or keep it minimal with organization in mind. These two locker looks run the spectrum of creativity for any school style. 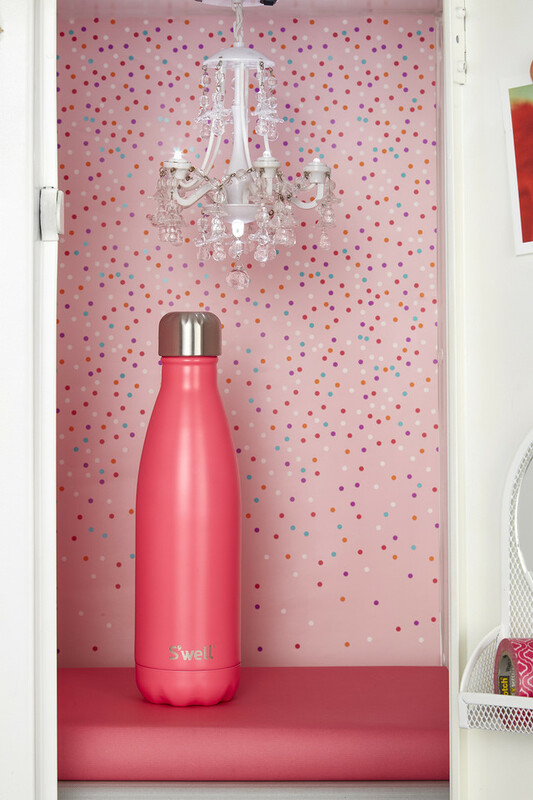 If pink is their go-to color - set them up with our White Locker Chandelier (magnetic and complete with actual battery powered light) and our Party Dot Locker Wallpaper. 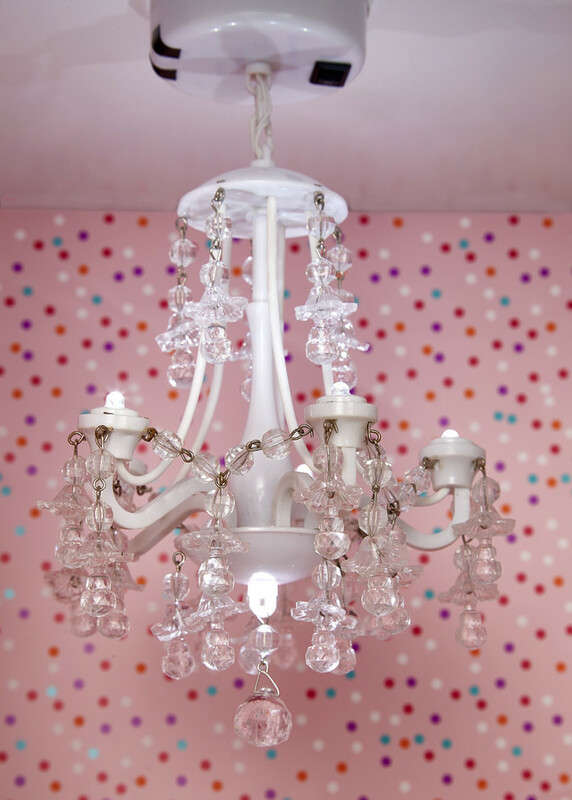 The cute muted pink gives them the color they want without screaming "pink!" 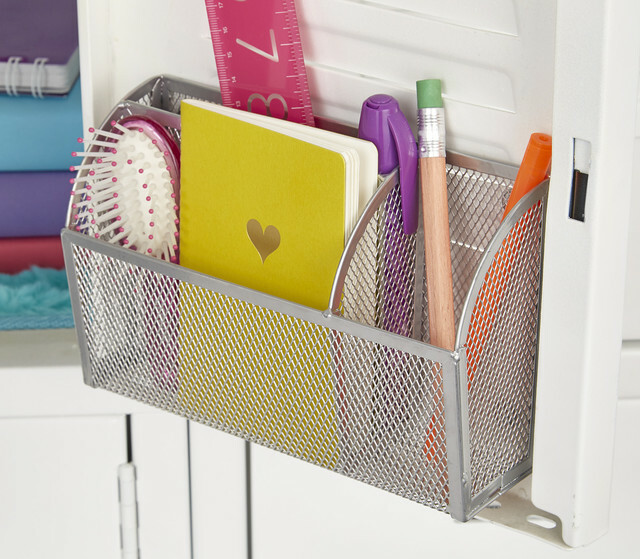 Our White Mesh Magnetic Vanity Bin and White Mesh Magnetic Organizer Bin blend in with the locker decor, making their school essentials easy to see and completely organized! Pop in some Poppin Medium Soft Cover Notebooks, Bulldog Clip Magnets, Poppin Acrylic Ruler and Poppin Thin Highlighters - they'll be set for the whole year. 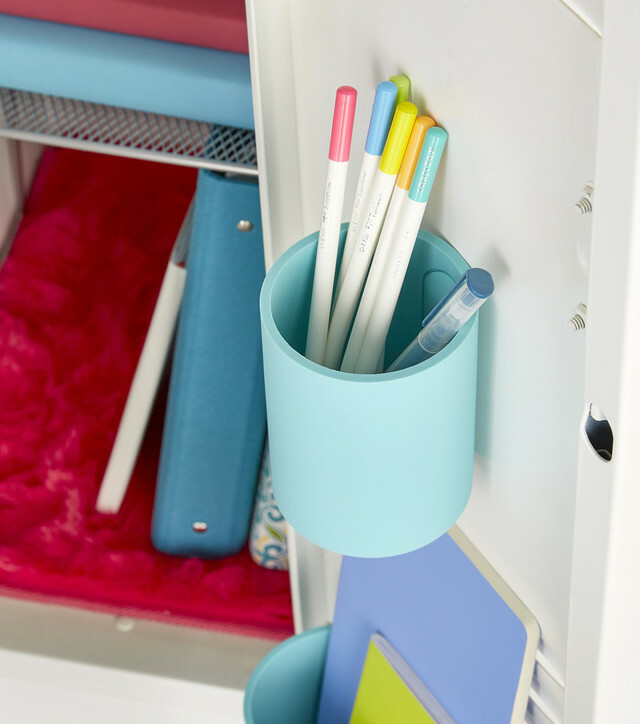 Give them another space to store the more "fun accessories" - small brushes, a notebook of sweet notes and some fun pens and pencils. 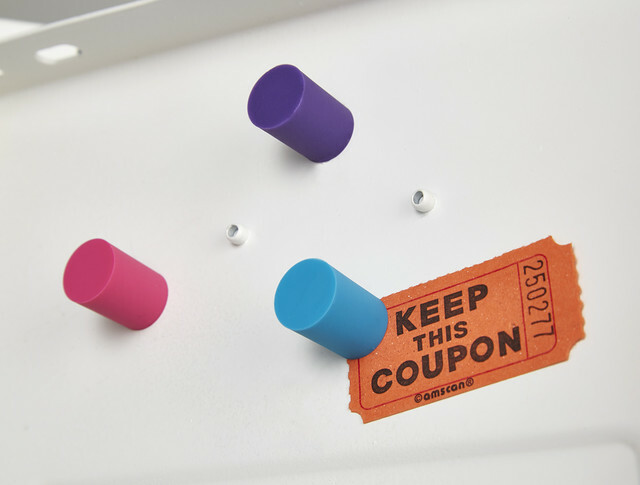 One of the easiest things you can do to add some color and organization with almost zero footprint, is by using our Poppin Round Silicone Magnets. 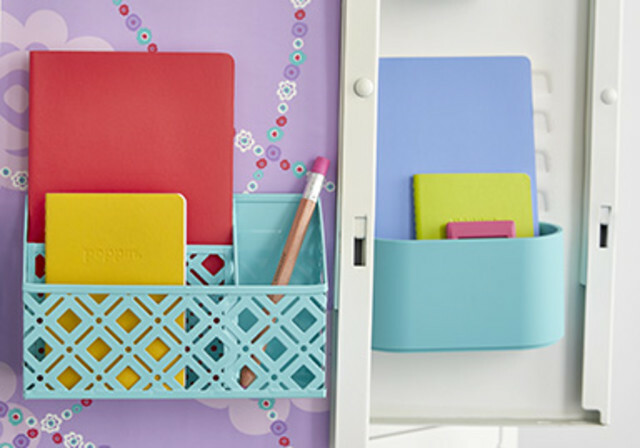 These super-strong magnets can hold sweet notes that you write them on their first day, reminders of to-do's, and a fun place to display pictures or memories. 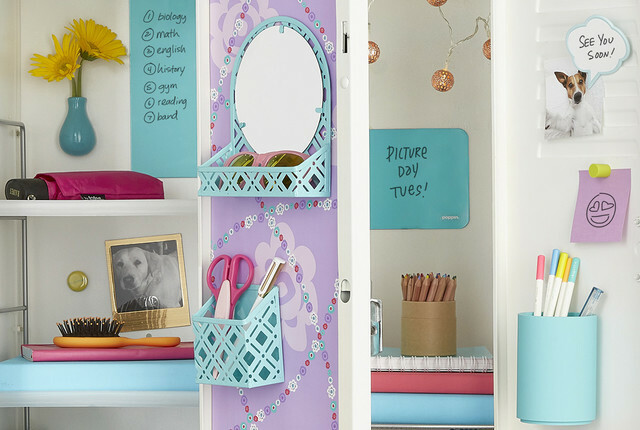 Making their locker first day ready is such a fun experience, we hope that some of these ideas have inspired you and your soon-to-be student again take a little bit of home and a lot of their style with them on that first day.